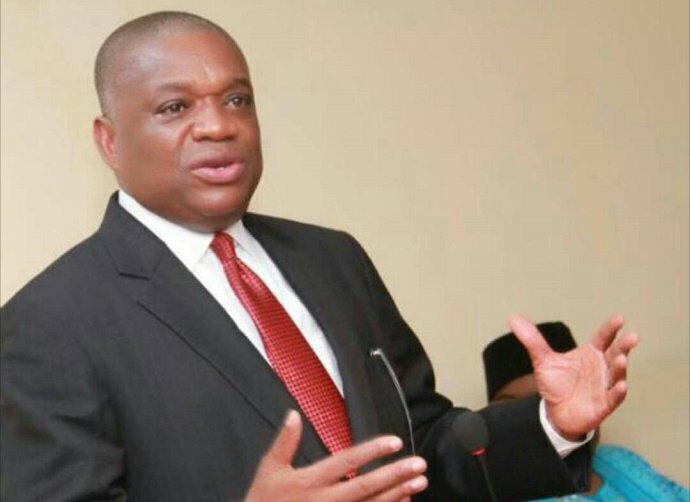 A federal high court in Lagos has revoked the bail granted Orji Uzor Kalu, ex-Abia state governor, for failure to appear before it. Kalu is facing trial for an alleged fraud of N7.65bn. His trial was stalled last week due to his absence in court. Kunle Oyewunmi, his media aide, had said Kalu was absent because he was flown to Germany for an undisclosed ailment. But Mohammed Idris, the judge, said due process was not followed before Kalu travelled. He gave the former governor a 7-day ultimatum to appear in court but Kalu was not in court on Monday. Idris, in his ruling, revoked his bail and ordered him to submit himself to the Economic and Financial Crimes Commission (EFCC) within 24 hours of his return to the country from Germany. The judge ordered the EFCC to arrest and detain the ex-governor if he fails to yield himself to the anti-graft agency. “In the circumstances, I’m constrained to revoke the bail granted to the first defendant,” the judge ruled.